It was really interesting to see how I was coding 3.5 years ago… I’ve learnt so many things about WordPress theme and plugin development in the meantime that I felt like I wouldn’t give my best if I didn’t rewrite the whole codebase of the WP Slide-up box plugin. Now it’s a lot closer to the best-practice standards (well, maybe I’ll read these sentences in 2019 with a smile on my face :)). 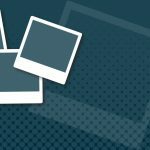 One important change for the plugin was that it no longer needs a separate database table to operate. Instead, everything is done using the shortcode. It gives users more flexibility, and makes administration easier. However, for backwards compatibility, I’ve left in there the database reader functions, so if you’ve been using the database table, it won’t break with the update. Also, the previous, v0.21 version was quite buggy with some animation modes with some image sizes / aspect ratios. v0.3 has great improvements in this field, too. 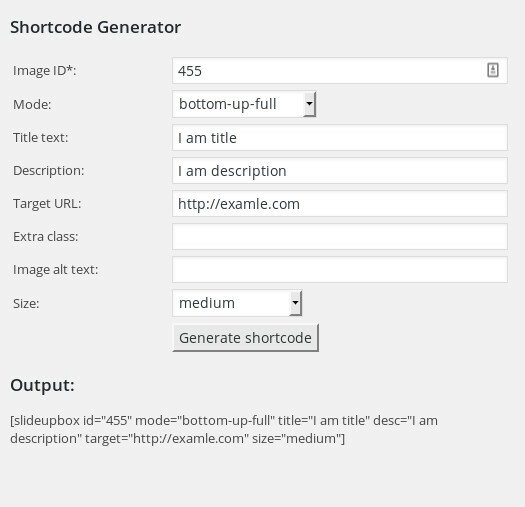 One of the important new features is the Shortcode generator. This is added instead of the add entry form in the admin. The other new feature is the size parameter for the shortcode: now you can specify which registered image size you’d like the sliding boxes to apply on. For full list of changes, please check out the changelog page of the plugin. However, this plugin is still not a priority at our team, we’ll aim to produce a new version every six months, so v0.4 is expected to be ready by November 2016. Smaller, bugfix versions may appear in the meantime.